Racing at the Big Z. 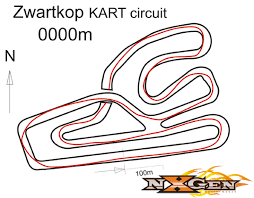 Round 2 of the Prokart SSS Endurance and Sprint series will be held at Zwartkops Kart Circuit on Sunday 13 March 2016. This is a combined event that will ensure plenty of action for the lovers of endurance and sprint racing alike. There is a packed programme so make sure you get your entry in early. Closing date for entries is 10 March 2016, so don’t be disappointed. NEW on line entry form. Try out the new on line entry form. Guaranteed to make your life easier. Simply go to SSS ENDURANCE RACING or SSS SPRINT RACING and click on the STEP2 button and you will be taken to a whole new world of convenience brought to you by the Prokart SSS Series. Because we are combining the endurance and sprint formats the programme for the day is very tight. There is no margin for scheduling mistakes and if you are not where you are meant to be at the time you are meant to be there, you WILL be left behind. Consult the RACE DAY PROGRAMME very carefully to avoid being late for your heat.